BaltCap sells its 95% stake in Fitek Holding to UnifiedPost Group, one of Europe’s leading FinTech firms headquartered in Belgium. 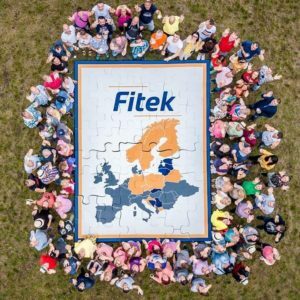 Fitek is the market leader in financial automation processes: the company operates in Estonia, Latvia, Lithuania, the UK, Slovakia, the Czech Republic, Serbia and Bosnia & Herzegovina. BaltCap’s investment fund BaltCap Private Equity Fund II acquired OpusCapita (part of Finnish Posti Group) Baltic businesses in 2015 and oversaw the transformation of three local players into a truly international group with a strong portfolio of digital platforms and services. In three years, the number of employees has increased from 107 to over 270. The current transaction is the first exit for BaltCap Private Equity Fund II (“BPEF II”) as well as for the Baltic Innovation Fund (“BIF”), a fund-of-funds initiative supported by the Republic of Lithuania, the Republic of Latvia, the Republic of Estonia and the EIF. The BIF, advised by the EIF, is a significant investor in BPEF II. Mait Sooaru and Kaur Lohk will continue as shareholders and executive managers of Fitek. The seller was advised by law firm COBALT. We are a leading FinTech group that helps businesses to digitize and optimize their financial value chain, in B2B(2C): from contract – over invoice – to payment, including alternative financial services. BaltCap Private Equity Fund II (BPEF II) established in 2014 makes equity investments in innovative companies based in the Baltic region focusing on buy-and-build opportunities. BPEF II was established in cooperation with the European Investment Fund (EIF) involved in the project through the Baltic Innovation Fund (BIF). The BIF is an initiative created by cooperation between the Republic of Estonia, the Republic of Latvia, the Republic of Lithuania and EIF. BaltCap through its holding company DenCap Investments acquires one of the leading Estonian dental care provider Kaarli Hambapolikliinik OÜ. BaltCap is already a majority owner of a country wide dental care provider Unimed in Estonia. Post-transaction, Kaarli Hambapolikliinik OÜ and Unimed Kliinikud OÜ will become part of the same group. According to BaltCap’s Managing Partner Martin Kõdar, Kaarli Hambapolikliinik OÜ has a very strong presence in Tallinn, the capital of Estonia. The clinics have an excellent long-term reputation as a dental care provider, loyal set of patients and renowned professional medical personnel. “Investing in Kaarli Hambapolikliinik fits well into our long-term strategy to expand the group of clinics in DenCap’s portfolio. As a joint group the companies have better development opportunities and we look forward to the beginning of this co-operation,” Kõdar added. BaltCap has a long experience in the medical sector and is strongly established in the field. BaltCap is or has previosly been the owner of several well known companies in the Estonian medical sector: occupational health care company Qvalitas, the largest medical laboratory services provider Synlab (ex Quattromed) and clinical research organization eGeen. BaltCap also owns Unimed Group and their dental clinics in Tallinn, Tartu and Pärnu, as well as a dental laboratory Dental Design. In Lithuania, BaltCap is the owner of InMedica chain of primary care and specialized clinics, and Labochema, which offers laboratory supplies in the Baltics. BaltCap’s holding company DenCap Investments acquires 100% of Kaarli Hambapolikliinik for an undisclosed price. The transaction enters into force after obtaining approval from the Competition Authority, which is expected during Q4. As a result of the transaction, the dentistry companies in BaltCap’s portfolio will jointly be in a stronger position, especially in maintaining and improving the quality of care through the increased training opportunities for doctors, the purchase of treatment support services and the development of support structures (such as information technology). Significant benefts also arise for dental laboratories to be a strong partner for a large number of dental clinics. Kaarli Hambapolikliinik OÜ has been operating consistently since 1998. The main activity of the company is providing specialized dental services. It has four operating entities – Kaarli Dental Clinic, Sõpruse Dental Clinic, Ülemiste Dental Clinic and Kaarli Dental Laboratory all based in Tallinn. Across all units, the company has 43 modern treatment rooms with highly-qualified specialists. In 2017, the clinics had 91,801 patient visits and the turnover was €9.4 million. Kelprojektas is Lithuania’s largest engineering consultancy primarily involved with project engineering and design relating to bridges, railways and roads, but also offers services within water, the environment, traffic planning and landscape architecture. “BaltCap and the management team at Kelprojektas have developed a leading Lithuanian engineering consultancy into an international group which advises on projects in the Baltics and Sweden. We’re sure it will continue to expand its service offering and international footprint under the ownership of Tyréns. We’re glad to have contributed to another success story for Baltic business,” said Šarūnas Alekna, Investment Director at BaltCap. “The acquisition of Kelprojektas represents an important step in our efforts to grow in key markets and a way of developing an even stronger international offering. We already know each other well from previous collaborative projects and have much in common as regards to how we work with technical development, how we approach our customers’ challenges and the values that guide us,” said Johan Dozzi, CEO at Tyréns. Kelprojektas is the fourth successful exit for BaltCap in 2018 – Trev-2, Magnetic MRO and Runway BPO have also been sold to strategic investors. BaltCap sells 75% stake in Estonian leading infrastructure construction company TREV-2 Grupp to Eurovia, a subsidiary of VINCI. BaltCap together with majority shareholder Dasha Group AS sold majority of the shares in Runway BPO to global BPO and customer experience company Webhelp. Runway BPO is multilingual nearshore BPO firm servicing Scandinavian and international customers. Closing of transaction took place in Riga on May 18, 2018. The sellers were advised by Avendus Capital (U.K.) Pvt Ltd. and law firm COBALT. BaltCap’s portfolio company Magnetic MRO gained a notable recognition last week when their financial manager Astrit Visma-Kass was chosen as the Most Infuential CFO of the Year by Estonia’s biggest business newspaper Äripäev together with BIG4 auditing bureaus. Astrit played a key role in a major sale transaction that saw BaltCap with smaller minority shareholders selling 100% of their stake in Magnetic MRO to Guangzhou Hangxin Aviation Technology for 43 million euros. BaltCap’s partner and Magnetic MRO’s Chairman of the Supervisory Board Kristjan Kalda has called this deal the largest exit transaction in BaltCap’s history. PwC‘s leading auditor and representative in the jury Tiit Raimla pointed out that Astrit put a lot of effort into perfecting financial reports in addition to making crucial financial information accessible in multiple due diligence processes. With many potential buyers, the whole process was almost as a second job for Magnetic MRO’s CFO, Raimla added. New member of the jury and EY partner Ranno Tingas described Astrit as a very determined person who can see the smaller details as well as the big picture of the financial world. “I am happy that she has received the recognition she deserves,” said Tingas. In addition to the Most Influencial CFO of the Year category, the readers of the website Finantsuudised helped to select the award for the Best Colleague which was also won by Astrit Viisma-Kass. It is worth to note that in 2017, Magnetic MRO also received the Company of the Year and Exporter of the Year awards in Estonia. The award for the Most Influential CFO of the Year was handed out for the 7th time. BIG4 auditing bureaus and Äripäev selected 15 nominees that had been responsible for huge transactions or noticed due to their smart financial leadership. Toomas Truuverk, Head of the Jury and CFO of Äripäev said that the Most Influential CFO award helps highlight people who often work in obscurity but play a crucial role in their companies. “We want to value the contribution of CFOs who stand out from their colleagues for something extraordinary, whether with huge transactions or remarkable financial organization. Globalisation of businesses along with rapid development of technology pose new challenges to CFOs and in order to succeed you must be adaptable and ready for change,” said Truuverk. BaltCap’s portfolio company Fitek has purchased 50% of the Serbian business New Image which offers e-invoicing and digital printing solutions in Serbia and Bosnia and Herzegovina. The business will operate in new markets under the name Fitek. “We acquired shares in Serbia’s New Image in order to widen Fitek’s presence in Europe. We’re taking part in a modern business which offers invoice-sending services in the Balkans. New Image’s smart bill solution is customizable for a client’s needs – it collects all billing information and forwards e-invoices in both digital and analog channels,” said Kaur Lohk, management member of Fitek Group. Vladimir Ilić, New Image’s General Manager says his clients will benefit from Fitek’s history in the public sector, telecom, utilities, and banking. Fitek and New Image are both well positioned to exploit European Union Directive 2014/55/EL mandating that all EU businesses engaged in state tenders must be ready for e-invoicing by November 2018. As Serbia progresses on its path to EU membership, Fitek and New Image products will help their clients meet EU standards for transaction speed and transparency. Until the beginning of 2016, the financial service automator and fintech company Fitek Group was known as OpusCapita. BaltCap together with minority shareholders sells 100% of the shares in Magnetic MRO to Guangzhou Hangxin Aviation Technology (“Hangxin”) for €43 million (equity value). Magnetic MRO is a full-service aircraft maintenance company headquartered in Tallinn. Indicative closing date is planned at the end of March after all regulatory requirements and other closing conditions have been fulfilled. Magnetic MRO sales increased exponentially in 2010-2017 and are expected to grow with the same rate over the upcoming years. The number of employees has increased from 160 to over 440. The sellers were advised by Superia Corporate Finance, Seabury Securities and law firm COBALT. Magnetic MRO is an EASA and FAA-certified total technical care and asset management organisation headquartered in Tallinn, Estonia, offering integrated MRO services. The company has a well-established reputation in innovative solutions in digitalised MRO services and proven track record as a one-stop total technical care organization for airlines, asset owners, OEMs and operators. In 2017, Magnetic MRO received Company of the Year and Exporter of the Year awards in Estonia. Guangzhou Hangxin Aviation Technology is a privately-owned company providing aircraft component maintenance services, based in Guangzhou, Guangdong Province in China. Hangxin services components for over 20 aircraft types. Hangxin serves over 50 airlines in Asia, Middle East, Europe and North America. Hangxin is listed on Shenzhen Stock Exchange and has market capitalisation over €700 million. Management controls 46% of the shareholder votes and, along with employees, 61%. Baltic Coffee Holding (BCH), a leading vending and coffee service company in the Baltics (currently operating under Selecta brand), has acquired Estonia’s coffee service company Vending Automaadid. “Estonia has a rapidly developing coffee market, and while we see an exciting growth potential for Selecta Estonia, working together with the team of Vending Automaadid will allow us diversify our client portfolio, expand our product offering, increase service efficiency and become a clear market leader in Estonia,” Viktorija Meiksane, the board chairwoman of Baltic Coffee Holding said in a press release. “We are committed to continue investments in innovations to further improve client experience. Mr. Mart Vips, CEO of Vending Automaadid will join the top management team of Baltic Coffee Holding,” Meiksane added. Baltic Coffee Holding is owned by private equity company BaltCap. On Thursday, October 5, Enterprise Estonia (EAS) held an award ceremony to recognize the most prominent and successful companies in Estonia. BaltCap portfolio company Magnetic MRO won an award in two different categories – The Company of the Year as well as The Exporter of the Year 2017. The Company of the Year was selected from the Entrepreneurship Award 2017 winners and the best companies from the Estonian Chamber of Commerce and Industry’s Competitiveness Ranking. Incap Electronics Estonia OÜ, Magnetic MRO AS, Rimi Eesti Food AS, Testlio OÜ, Toftan AS, Tallink Grupp AS and Hekotek AS competed for the title this year. According to the Chairman of the Board of Enterprise Estonia Alo Ivask, successful companies play an important role in the economy of a country and the prosperity of a society. “Therefore, we consider it very important to recognize them with the entrepreneurship award, which is also an expression of respect for all entrepreneurs,” emphasised Ivask. “The Company of the Year, Magnetic MRO is an important exporter who has reached 37 countries,” he added. “We recognize the best companies with the awards and on the other hand, we express our respect for all entrepreneurs and entrepreneurial people, regardless of their field or extent of their business,” the head of Estonian Chamber of Commerce and Industry, Toomas Luman said. “By recognizing the companies we want to highlight their contribution to the society, so that that entrepreneurship would be more noted and valued. We will continue to do so in the future,” Luman confirmed. “The Estonian economic development, which is driven by entrepreneurs, faces many challenges, for example, the declining population and the stifling of business with regulations. The more important are the recognition of entrepreneurs who, despite difficult circumstances, continue to contribute to the improvement of the welfare of Estonia and pay taxes. The Estonian Employers’ Confederation is thankful for all the companies that have participated in the entrepreneurship award competition and, of course, congratulates the winners,” said the Chairman of the Estonian Employers’ Confederation Council Tiit Kuuli. The Company of the Year was chosen by the representative jury, which included Urve Palo, Minister of Entrepreneurship and Information Technology, Alo Ivask, Chairman of the Management Board of EAS, Siiri Lahe, Member of the Management Board of Estonian Cell AS, Ardo Hansson, President of Eesti Pank, Volli Kalm, Rector of the University of Tartu, Oliver Väärtnõu, Chairman of the Management Board of Kalm Cybernetica AS and Ruth Oltjer, CEO of Chemi-Pharm, the Company of the Year 2012. The Best Estonian Enterprises 2017 award ceremony is organized by Enterprise Estonia, the Estonian Chamber of Commerce and Industry and the Estonian Employers’ Confederation. Magnetic MRO (formerly Air Maintenance Estonia) is an aircraft maintenance, repair and overhaul (MRO) provider for a narrow-body fleet situated at Lennart Meri Tallinn Airport. Magnetic MRO provides line maintenance services for the customers in Tallinn and heavy maintenance services for customers primarily based in Northern Europe. The company offers heavy maintenance services to Boeing 737 and Airbus 320 family aircraft and in addition line maintenance to Embraer, CRJ, Fokker and Saab. BaltCap has been the owner of Magnetic MRO since 2010. BaltCapi portfelliettevõte, Eesti suurim automüügi- ja autouudisteportaal auto24 sõlmis ostu-müügilepingu, mille kohaselt ostetakse kirjastuselt Presshouse kord nädalas ilmuv autoajakiri Autoleht. Autolehe näol on tegemist Eesti suurima autoajakirjaga, mis ilmunud alates 1999. aastast ja millel on värskeima Eesti Lugejauuringu andmeil üle 62 000 püsilugeja. BaltCap portfolio company TREV-2 Grupp won the tender for the construction of a four-lane highway section between Kose and Ardu on Tallinn-Tartu road and signed a €50.7 million contract with the Estonian Road Administration yesterday. “The construction of the Kose-Ardu section is one of the largest road construction projects in Estonia in the last 25 years. The whole four-lane section will be built on a new route which will result in the new 40-kilometer Kose-Mäo 2+2 road, shortening the Tallinn-Tartu-Võru-Luhamaa highway by 5.3 kilometers,” said Sven Pertens, the CEO of TREV-2 Grupp. He added that the new section is also unique in that the construction period will have no substantial impact on the existing traffic. “As the Kose-Ardu section is a completely new route, the existing traffic can continue until the completion of the new road in 2020 without restrictions caused by the large-scale construction,” Petrens said. “For the Road Administration, signing this contract is one of the highlights of the past few years as it summarizes a substantial and thorough preparation stage. Now we will hand over the baton to the construction company for the realization of the project solution,” commented Kaupo Sirk, Deputy Director General in Construction and Development Area at the Road Administration. “The construction of this section is a big challenge for the builder as we hope to delight road users with a long-anticipated and user-friendly 2+2 cross section in 2020,” he added. The section between Kose and Ardu is a part of the four-lane Kose-Mäo highway section. The construction of the 12-kilometer Kose-Ardu section will begin in August 2017 and last for 40 months. The whole section will feature a 2+2 road with a median strip, crossing facilities at Kose-Risti and Ardu, one tunnel and one wildlife crossing. The plan also includes the construction of culverts for amphibians and small game animals. Crossings with side roads and local roads will be separated. The existing Kose-Ardu section on the Tallinn-Tartu route will fully service local traffic and if necessary, will function as an alternative to the highway for different special situations. The new section is projected for speeds of 120 kilometers per hour. The construction tender for the Ardu-Võõbu section will be announced in the third quarter and the aim of the Road Administration is to complete both sections in 2020. BaltCap announces new Chief Executive Officer to run portfolio company TREV-2 Group. As of April 1st, Sven Pertens who formerly managed Lemminkäinen Eesti AS will be appointed as CEO. “We want to combine the company’s young and ambitious team with Sven’s extensive experience in this sector in order to see TREV-2 Group reach the leadership position in infrastructure construction market,” said Kristjan Kalda, Partner of BaltCap and Chairman of Supervisory Board in TREV-2 Group. “I also wish to thank the current Chairman of the Board Rein Rätsep for effective job in managing the company. He has done a great job in raising the company’s competitiveness in the Estonian market,” Kalda added. The main business areas of TREV- 2 Group are road and bridge construction, road maintenance, environmental engineering and mining. The company employs about 400 people. In March 2017, BaltCap acquired additional 38% of TREV-2 Group shares from East Capital Explorer AB for €5.7 million. BaltCap’s total ownership after the acquisition reached 75%. Baltic private equity house BaltCap together with management acquires 100% of Sanoma Baltics AS, the operator of Estonian online classified sites auto24 and Kuldne Börs from Sanoma Media Finland OY. BaltCap Private Equity Fund II and the management team signed an agreement to acquire Sanoma Baltics AS. The company operates the auto24 classified portal in Estonia with a strong position in car, motorbike, boat and heavy equipment advertising. It also operates the Kuldne Börs generalist classifieds site in a variety of categories, such as construction materials, agricultural equipment, pets and household goods to name a few. “The strong local classified sites auto24 and Kuldne Börs are very well managed and operate in a growing market. The sites provide a very useful service to Estonian consumers and businesses by providing an efficient online marketplace. We are excited to work together with the management team to further improve and grow the business of both auto24 and Kuldne Börs,” said Oliver Kullman, partner at BaltCap. “We wish the team and BaltCap a lot of success with the company. From now on, Sanoma Media Finland will focus on further developing our strong, multi-channel operations in Finland,” commented Pia Kalsta, the CEO of Sanoma Media Finland. The financing is partly provided by LHV pension funds. The fund manager Andres Viisemann said, “Recent legislative changes make it possible for pension funds to make such local investments. Managing pension savings of €1 bn, we plan to increase investments in Estonia,” adding that local investments provide a higher expected return and also boost the local economy. The transaction is expected to close in spring 2017, following approval from the Estonian Competition Authority. BaltCap Private Equity Fund II (BPEF II) makes equity investments in innovative companies based in the Baltic region focusing on buy-and-build opportunities. BPEF II was established in cooperation with the European Investment Fund (EIF) involved in the project through the Baltic Innovation Fund (BIF). The BIF is an initiative created by cooperation between the Republic of Estonia, the Republic of Latvia, the Republic of Lithuania and EIF. Sanoma Baltics AS is the operator of classified portals auto24.ee, veetehnika.ee, rasketehnika.ee, mototehnika.ee and kuldnebors.ee. The company has around 20 employees in Tallinn and Tartu offices, creating a turnover of €4.4 million. The pension funds managed by LHV have over 170,000 clients. The volumes of the pension funds managed by LHV Varahaldus as at the end of February amounted to €991million. Fitek, a financial technologies company operating in the Baltics, has purchased Slovakia’s financial technologies company SmartPost. “In Slovakia, automated electronic account management solutions are only breaking new ground, we see an enormous growth potential on the market. We believe we can efficiently use our experience and solutions, which have helped us become the market leaders in the Baltics. The acquisition will also open doors to provision of services in the neighboring markets of the Czech Republic, Austria and Hungary,” the group’s board chairman Mait Sooaru said in a press release. The value of the deal has not been disclosed. Last year, SmartPost turnover stood at over 1 million euros. Until the beginning of 2016, Fitek group was known as OpusCapita. The group is owned by private equity company BaltCap. BaltCap Private Equity Fund II managed by BaltCap has signed an agreement to buy the business operations serving the local markets in the Baltic States from European vending and coffee services company Selecta Group. The Estonian, Latvian and Lithuanian businesses altogether employ about 75 people and generate net sales in excess of € 10 million. “We have been impressed by Baltcap’s knowledge of the Baltic business specificities and ability to develop its portfolio companies. We believe our Estonian, Latvian and Lithuanian businesses will have the ideal new owner to support a continued solid, sustainable and profitable business development,” says David Flochel, CEO of the Selecta Group. The transaction is subject to the approval of the Competition Authorities. The parties have agreed not to disclose the transaction price. BaltCap Private Equity Fund II (BPEF II) was established by BaltCap in cooperation with the European Investment Fund (EIF) involved in the project through the Baltic Innovation Fund (BIF). The BIF is an initiative created by cooperation between the Republic of Estonia, the Republic of Latvia, the Republic of Lithuania and EIF. Investors also include European Bank for Reconstruction and Development (EBRD) and Baltic pension funds managed by Swedbank and SEB Wealth Management as well as LHV Asset Management and fund managers of Danske Capital. The fund invests in small and medium-sized enterprises and capital expansion in the Baltic countries. For further information, please visit BaltCap’s website at www.baltcap.com. Selecta is a leading vending and coffee services company in Europe with a turnover of about € 736 million (for the twelve months ended 30 September 2016) and employing approximately 4,100 people. Founded in 1957 and headquartered in Switzerland, Selecta has grown its geographic market presence to 15 countries across Europe. Selecta serves 6 million consumers every day at its 137,000 point of sales addressing the growing need for out of home food and beverage services at the workplace and on the go. Selecta is putting a strong focus on improving the coffee experience at workplaces through an exclusive partnership with Starbucks as well as by offering a full range of high quality coffee blends such as Selecta’s own miofino brand. In addition, Selecta offers state of the art coffee machines, which are serviced by its own highly professional service organization. Selecta’s Swiss roots stand for service excellence, high quality product offering and innovative concepts for out of home food and beverage services. For further information, please visit Selecta’s website at www.selecta.com. Estonia’s leading occupational health care company Qvalitas and the largest private medical centre Unimed United Clinics acquire Tartu clinic from Medicum. The deal will be completed with the support of private equity firm BaltCap who is the majority shareholder of both Unimed and Qvalitas. Merging Medicum Tartu with Qvalitas and Unimed creates an even stronger medical services provider in South Estonia by bringing together top quality orthodontists, dentists, medical specialists and occupational health care experts as well as family physicians. Medicum has also agreed to sell its occupational health care activities in Tallinn. The transaction is planned to be completed in January 2017 and is subject to the approval of the Estonian Competition Authority. The parties do not disclose the transaction price. Medicum is Estonia’s largest public service medical and nursing care provider mainly operating in Tallinn and Harju County. Medicum Tartu team consists of occupational health care specialists, dentists, dermatologists, psychiatrists, rheumatologist, gynecologist, neurologist, cardiologist, surgeon, radiologist, physical therapist as well as family doctors. Erki Mölder, Chairman of the Board of Unimed commented that the services for Medicum Tartu patients will continue under the same conditions, neither will the ownership change bring along any rapid changes for employees. “BaltCap has a lot of expertise in healthcare investments. Together we can expand our operations in Tartu, strengthen collaboration between Qvalitas, Medicum and Unimed, and also contribute to the development of new business areas,“ he added. CEO of Qvalitas, Tõnu Velt said the news is positive for their customers. He admitted that in addition to occupational health care services other specialist assistance will become available in Tartu after the approval is gained from the Estonian Competition Authority. “Medicum’s experience and knowledge in occupational health care enables us to jointly develop the area and improve quality,” explained Velt. Jaanus Vool, Chairman of the Supervisory Board of Medicum added that he sees a strong synergy in uniting the specialist teams and managing practices of Unimed, Qvalitas and Medicum Tartu. “Given the family doctors and nurses also working in Medicum, this change establishes the best modern multi-disciplinary health center for patients in southern Estonia,” he said. Unimed United Clinics is the largest private medical centre in Estonia, consisting of orthodontics centre, sleep centre, dentistry clinic, dentistry laboratory, specialist consultations and ambulatory surgery department. Unimed clinics operate in Tartu, Tallinn, Pärnu and nine other smaller locations all over Estonia. Qvalitas was founded in 1996 and it offers occupational health care as well as general and specialized medical services in Estonia and also through mobile health care units. Many of the largest Estonian companies are clients of Qvalitas. The most groundbreaking transactions in the Baltic region during the last 12 months were announced at the Baltic M&A and Private Equity Forum 2016 gala event in Riga. The winners are Trilini Energy, Providence Equity Partners and BaltCap portfolio company FCR Media Group. Outbound Deal from the Baltics 2016 award was given to FCR Media Group’s acquisition of Truvo of Belgium (Estonia). FCR Media Group is Estonia-based provider of local search and operator services that acquired Truvo, a Belgium-based company engaged in publishing telephone directories in print, online and mobile formats, for an undisclosed sum. The acquisition, following a bankruptcy petition filed by Truvo, will save 310 jobs as Truvo will be integrated with FCR Media Belgium. This was one of the few deals by Estonian buyers with targets outside the Baltics. In every case, the jury evaluated the strategic importance of the deal for the Baltic market, the deal value and turnover of the target, the complexity and/or innovative nature of the deal, the financing and payment structure, as well as involvement of Baltic stakeholders. The deals under observation were completed within the past 12 months (October 2015 – October 2016). BaltCap, the largest private equity and venture capital investor in the Baltics, exited gas infrastructure and trading company Energate. The company was acquired by a group of private investors. Energate is a gas infrastructure and trading company operating pipelines in Estonia with the core network near Tallinn and Tartu. BaltCap acquired the company in 2008. During the holding period Energate completed several acquisitions, annual sales volumes increased from 2 million m3 to 10 million m3 and the pipeline expanded from 37 km to 123 km. It is the third successfully developed and exited infrastructure asset by BaltCap this year. In January, BaltCap exited 18MW Tuuleenergia wind farm in Estonia and 24MW Eurakras wind farm in Lithuania to Lietuvos Energija. The deal was advised by Superia Corporate Finance and law firm RASK. BaltCap portfolio company FCR Media Belgium takes control in the largest digital media agency in Belgium with its 300 employees, including the activities of goudengids.be and pagesdor.be. FCR Media Group (www.fcrmedia.com) is the leading European digital media agency with activities in 12 European countries, including Belgium, Ireland, Sweden, Czech Republic, Slovakia, the three Baltic countries of Estonia, Latvia and Lithuania, Croatia, Hungary and Romania. In most of its markets, FCR is a Google Premium partner. In January 2016, BaltCap invested in Eesti Keskkonnateenused AS (“EKT”) acquiring a 75% ownership. The Baltic private equity house continues to invest in the sector – on June 20, 2016, EKT signed an agreement to obtain 100% ownership in Jaakson Linnahooldus OÜ that is active in Tallinn street maintenance business. “BaltCap is excited to support EKT Group’s further growth. Local expansion is one of our strategic goals so we are pleased to see that the current deal is a powerful step forward,” said Peeter Saks, Managing Partner at BaltCap and Chairman of the Supervisory Board at EKT. The CEO of EKT Argo Luude added that the transaction was a logical step for them. “Since our company has a lot of experience in street maintenance from other municipalities, the growth needs to continue in order to stay competitive in our sector. Jaakson Linnahooldus is a well-run company that has proven its worth in the field already for years,” Luude noted. Jüri Jaakson, the former owner of Jaakson Linnahooldus OÜ admitted that he has built up the company from scratch and put a big part of his life in it over the years. “I decided that now is the time to slow down and leave the company in good hands,” he said. In this transaction, Jaakson & Ko OÜ was advised by Raidla Ellex law firm and Eesti Keskkonnateenused AS by law firm Eversheds Ots & Co. The transaction is planned to be completed in summer 2016 and is subject to the approval of the Estonian Competition Authority. The parties have agreed not to disclose the transaction price. EKT and related companies are the leading waste management and municipal services company group in Estonia. EKT’s main activity is collection of municipal waste (MSW). In addition to that, EKT collects secondary raw materials, construction waste and other types of waste. In certain municipalities EKT also provides street maintenance service in winter. The Group services more than 100 thousand customers in Estonia and treats more than 250 thousand tons of waste annually. The Group has 500 employees and its turnover will exceed 27 million euros in 2015. Primarily active in street maintancence sector having a long-term experience. The company’s annual turnover is 3.8 million euros and it employs more than 80 people. Baltic private equity house BaltCap acquired a majority stake in the leading Estonian occupational health care company Qvalitas Arstikeskus AS (“Qvalitas”). BaltCap Private Equity Fund II (BPEF II) signed an agreement to acquire 72% of Qvalitas. The remaining 28% are held by the management team. In addition to BPEF II, Erki Mölder, the CEO of Unimed Group is an investor in the holding company carrying out the transaction. Qvalitas was founded in 1996 and it offers occupational heath care as well as general and specialised medical services in Estonia. The company is mainly known as a high quality occupational health care service provider. Several of the largest Estonian companies are clients of Qvalitas, which provided more than 60,000 different health checks last year. The new investor will support the company’s strategy and invest in the development of new business areas. Last November, BPEF II announced its investment in Unimed Group (previously Dental Invest Estonia), one of the most innovative private medical groups in Estonia. Unimed clinics provide services in the fields of orthdontics, dentistry, dental labs, specialised medical care and sleep disorder treatment. Following the current transaction, Qvalitas and Unimed Group become sister companies. “Occupational health care is a continuously developing area of medicine. People are becoming more aware that occupational health care is an important part of preventive care. I am very glad that through our investment in Qvalitas we can participate in the development of this important field. Qvalitas is a very well managed company and a leader in its market,” commented Martin Kõdar, a Managing Partner of BaltCap. The transaction is expected to close during the summer of 2016, following approval from the Estonian Competition Authority. The parties do not disclose the transaction value. Qvalitas Arstikeskus AS and its subsidiaries form the leading occupational health care group in Estonia. Qvalitas’ services are available in eight locations and also through mobile health care units. The company was founded in 1996 and today has more than 100 employees. BaltCap portfolio company Magnetic MRO completed acquisition of MAC Interiors (www.macinteriors.com), a UK based aircraft interiors production and engineering company. Aircraft modifications, interior upgrades and retrofitting are expected to outgrow the general pace of development of the global MRO industry. Thus acquisition of MAC Interiors is a strategic step for Magnetic MRO in building its presence in this fast developing segment of premium MRO services. With more than 50 years of trading history, MAC Interiors operates under EASA Part 21J, Part 21G, Part 145 certificates, and owns STC rights to a number of completed aircraft interior projects. Over the last 18 months Magnetic MRO expanded into full aircraft painting, engines on wing and off wing services, components solutions, and other areas of MRO activities. The newly acquired interiors business accelerates the overall goal of being a natural first choice for Total Technical Care solutions for airlines, asset owners, and OEMs. In addition to the strategic fit, it also expands Magnetic MRO presence in the UK market, which is strategically important for access to customers, aviation specialists, efficient warehousing, and logistics services. BaltCap, the largest private equity and venture capital investor in the Baltics, exited 18MW Tuuleenergia wind farm in Estonia and 24MW Eurakras wind farm in Lithuania. These wind farms were acquired by Lietuvos energija, Lithuanian state-owned energy group. “This transaction marks the first exit of BaltCap Lithuania SME Fund, part of JEREMIE initiative in Lithuania. Strong and experienced team of co-investors and management played a key role to a successful wind farm development in Jurbarkas. It is within our expectations that the experience gained in this project will translate into new pan-Baltic infrastructure investments,” said Šarūnas Stepukonis, Associate Director at BaltCap. “One of the strategic directions of Lietuvos energija is the development of production and diversification. Naturally, in assessing the current environment and future prospects, we chose wind energy as one of the development directions. Analyzing the market, next to the development projects we have discussed opportunities to acquire already existing wind power parks. We are pleased that after a market survey and identification of opportunities we successfully managed to acquire two wind parks. It is the first wind power capacity of Lietuvos energija and also first investment outside Lithuania – in Estonia,” says Dr. Dalius Misiūnas, Chairman of the Board and CEO of Lietuvos energija. Lithuanian company Eurakras operates 24 MW wind farm in Jurbarkas district. Wind turbines are produced by German company Nordex. Each power plant has 3 MW capacity and tower height of 120 meters. The wind farm is brand new – construction completion certificate and authorization to produce electricity were issued in December 2015. BaltCap was investor in Eurakras through Lithuania SME Fund. Estonian company Tuuleenergia operates 18 MW wind farm in Mäli and Tamba in Varbla parish, western Estonia. All six wind turbines are manufactured by German company Enercon. Each power plant has 3MW capacity and tower height of 99 meters. The wind farm was launched in the beginning of 2015. BaltCap was investor in Tuuleenergia through BaltCap Private Equity Fund. Total transaction price for Lietuvos Energija was €28 million for 100% share in Tuuleenergia and 75% share in Eurakras, including buy-out of BaltCap´s co-investors. In Tuuleenergia transaction BaltCap was advised by corporate finance firm Superia and law office RASK. Lithuania SME Fund is a growth capital fund organized by BaltCap in 2010 as part of the JEREMIE initiative in Lithuania. JEREMIE Holding Fund in Lithuania managed by EIF is financed from the EU Structural Funds under 2007-2013 Economic Growth Operational Programme. BaltCap, the largest private equity and venture capital investor in the Baltics, will invest in the group of waste management companies that include AS Eesti Keskkonnateenused and Epler & Lorenz AS (EKT or Group). BaltCap Private Equity Fund II, advised by BaltCap, has agreed to invest in the Group acquiring a 75% ownership stake. The management team will own 25% of the shares. “BaltCap is excited to support the Group’s further growth. Environmental services will have an increasingly important role in the industrial, construction and municipal sectors. EKT is a well-run company with highly dedicated employees and outstanding customer relationships and we see significant potential for the company to continue its growth in Estonia, both organically and through acquisitions. EKT is a very strong brand signaling reliability, security and quality among its customers. It will also fit very well with our recent acquisition of the largest waste manager in Lithuania – Ecoservice,” says Peeter Saks, Managing Partner at BaltCap. “EKT management looks forward to having BaltCap on board as a new investor. There are lots of opportunities in the market and to execute all of them we need a strong financial partner. Together it is definitely possible to strengthen the company’s market position and invest into new technologies to improve environmental situation in different countries,” says Argo Luude, CEO of the Group. The transaction is planned to be completed in January 2016 and is subject to the approval of the Estonian and Lithuanian competition authorities. The parties have agreed not to disclose the transaction price. BaltCap, the private equity and venture capital investor in the Baltic States, will invest in the leading Estonian dental care company Dental Invest Estonia (“DIE”). BaltCap Private Equity Fund II, advised by BaltCap, has agreed to invest in DIE group through new equity issue acquiring a 56% ownership stake. The management team and the key doctors will own 44% of the shares. DIE, along with its subsidiaries, is the leading dental healthcare provider in Estonia. Having over 17 years of experience the Group has been the innovation leader in Estonia by adopting modern technologies and introducing new services to the market. Orthodontics (prevention and correction of irregular teeth), restaurative dentistry and children’s dentistry have traditionally been the Group’s core services. Recently DIE has expanded activities now covering also regular dentistry, ENT (ear, nose, throat) disorder treatment, speech therapy, physiotherapy, sleep disorder treatment and oral and maxillofacial surgery. The Group has adopted myofunctional treatment as a teamwork approach that has been highly recognized by medical experts globally. The Group is additionally active in offering dental laboratory services and exporting dental care equipment. “We believe that healthcare industry has excellent long term perspectives with dental care being one of the fastest growing segments. DIE group has a strong team of professionals and we are impressed with the state-of-the-art chain of clinics they have built. With our investment, BaltCap wants to help the group to develop into a true regional leader in dental and dental related healthcare,” comments Martin Kõdar, Managing Partner of BaltCap. “We were looking for a long term investor for the group to enable us carry out our expansion plans. We selected BaltCap for their professional approach, dedication and understanding of our business needs. Having BaltCap as a long term partner gives us confidence to expand our service offering and clinics network,” noted Vallo Veering, Founder of DIE. The transaction is planned to be completed in December 2015 and is subject to the approval of the Estonian Competition Authority. The parties have agreed not to disclose the transaction price. Dental Invest Estonia group of companies aim to offer patients a complete treatment approach including dental care, sleep medicine and myofunctional treatment. The group has 190 employees and 8 clinics across Estonia. Its main subsidiaries include Ortodontiakeskus OÜ, Dental Design OÜ and Dental Export OÜ. In March 2015, DIE opened a new state-of-the-art clinic in Lelle Street 24, Tallinn. In 2016, the group plans to launch a similar new clinic also in Tartu. BaltCap Private Equity Fund II managed by BaltCap, the leading private equity and venture capital investor in the Baltic States, acquired property manager BPT Real Estate AS which provides services in the Baltic States and Poland. BaltCap acquired the company from Northern Horizon Capital A/S. BPT Real Estate is the leading property management company in the region. The team of 80 professionals manages more than 150 properties, whose total area amounts to 1 million square meters, and has more than 1000 tenants. The majority of the properties managed by BPT Real Estate are located in the Baltic States. In addition, BPT manages several properties in Poland. “The real estate market in the Baltic States is becoming similar to those of the developed countries, where ever increasing role is played by the institutional investors. For this reason independent property management and real esate advisory services are in greater demand than ever before. BPT Real Estate is one of the best known brands in the region and, therefore, we chose to invest into a qualified team of professionals which provide top quality services. We expect that the investment and experience of the fund will help BPT Real Estate strengthen its reputation as reliable and independent partner for those who invest into real estate in Baltic States and Poland,” noted Šarūnas Alekna, BaltCap investment director. ”The sale of BPT Real Estate is the logical conclusion of the last couple of years’ gradual process of establishing and empowering BPT Real Estate as a property management company that is independent of Northern Horizon’s core investment management business. The divestment allows Northern Horizon to fully focus on growing its core investment management business. In that segment we see many interesting opportunities to offer to our investor clients new investment products not just in the Nordics and Germany, but also in the Baltics where BPT Real Estate’s activities are focused. Furthermore, Northern Horizon will post-transaction continue to maintain and expand its own significant on-the-ground presence in the Baltics through our in-house investment management, fund administration and corporate services teams there,” comments Michael Schönach, Northern Horizon Capital Group CEO. “BPT Real Estate has been growing year on year basis in the market and has become the leading service provider in value adding real estate services. After full separation from Northern Horizon Capital group we will continue offering property management services to all Northern Horizon Capital funds in Baltics and Poland. Our ambition is to continue being the leading brand to guarantee the highest quality standards and to introduce new value adding services. With BaltCap as an investor we are confident that such goals will be reached even sooner and after separating from Northern Horizon Capital we can continue our growth fully independent,“comments Indrek Hääl, BPT Real Estate Group CEO. The transaction is subject to approval by competition authorities and is expected to close in September 2015. Sorainen were acting as BaltCap’s legal advisor. Northern Horizon Capital is a real asset investment management firm with activities in the Nordic countries, Germany, the Baltics and Poland, and St.Petersburg, Russia. Northern Horizon focuses on offering its institutional investor base specialised strategies in emerging real asset subsectors such as carehomes, farmland, as well as selected commercial real estate strategies. FCR Media, the leading Digital Media Agency controlled by the Baltic private equity fund BaltCap, expands its operations to Uruguay. Through the acquisition of controlling stake of Volt Directories S.A. Ltd. in Uruguay, FCR Media Group enters its 1st market in Latin America and adds the 12th market to its diversified geographic portfolio. This is the first investment in Latin America by FCR Media, which offers integrated digital media solutions for SMEs. “The acquisition of Volt Directories in Uruguay by FCR Media means only one thing – FCR Media became a global Digital Media Agency. FCR Media is now even more diversified not only in its products but also in its geographical presence. Furthermore, there are substantial synergies to be extracted from the acquisition in the fields of digital marketing and advertising. This will help FCR Media enter the Uruguayan market as a strong player, offering high visibility to clients in all media channels as well as targeting growth opportunities across Latin America,” said the CEO of FCR Media, Jon Martinsen. After closing the deal, FCR Media will operate in 12 markets: Ireland, Sweden, the Czech Republic, Slovakia, Lithuania, Estonia, Latvia, Romania, Russia, Hungary, Croatia and Uruguay. In 2014, the Group generated revenue of EUR 64.4 million and EBITDA of EUR 2.4 million. FCR Media is fully controlled by BaltCap.